As one of the writers of HAP, I love to cook and cook often. However, as the mother of a preschooler and a newborn, my life can become somewhat hectic and I find myself turning to to convenicne foods. That’s right, chicken fingers, tatertots and sweet potato fries right out of the freezer. I know these foods aren’t bad occasionally, but lately I have been reaching into my freezer more often that I would like in order to get dinner on the table fast. In an effort to break this habit, I wanted to make my own chicken fingers that would be quick to make and taste great, but would also be something I felt good about serving to my family. 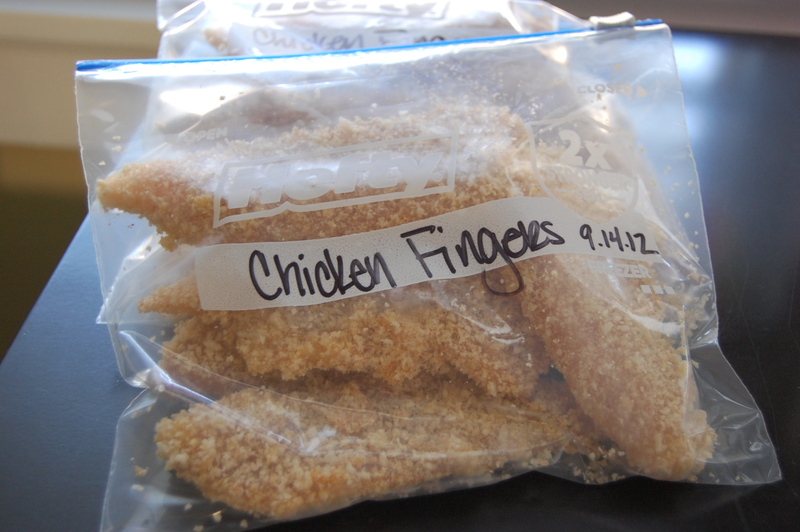 I coated chicken fingers with panco breadcrumbs and seasoning, then individually froze them before putting them in ziploc bags. 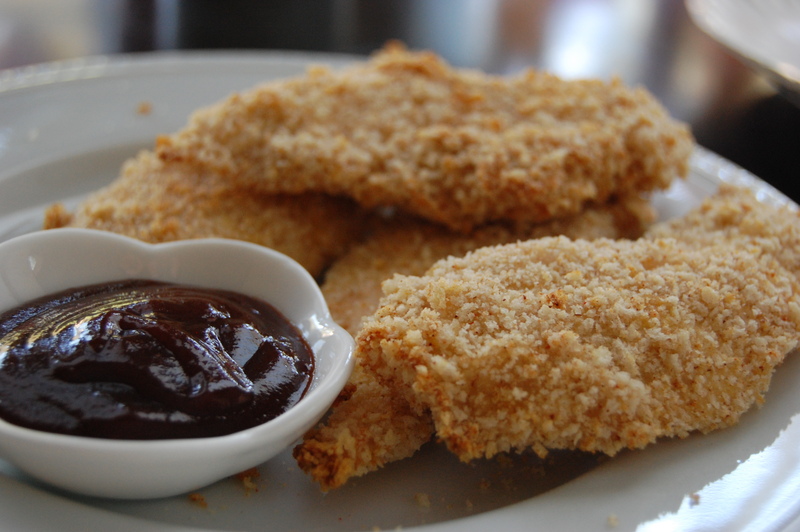 With minimal effort, I have created chicken fingers that I can grab in a hurry that are homemade and still taste great. In a large bowl, mix together the panco bread crumbs with the cumin, garlic and salt. Dip each chicken tender into the beaten eggs, then into the bread crumb mixture. Place on a large cookie sheet. Continue until you have used up all of your chicken tenders. 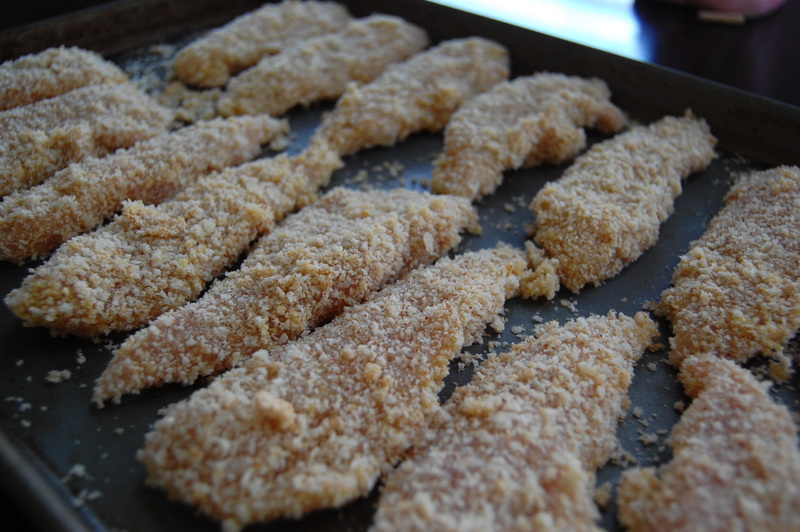 Place the cookie sheet into your freezer for about 45 minutes or until the tenders are mostly frozen. Then place into freezer safe ziplock bags. This will ensure that the chicken fingers will not stick together when you go to grab a certain number. I like to try and slightly thaw the chicken before I bake it by putting it in the fridge in the morning if I am going to have it for dinner that night. If you are cooking from thawed, bake at 350 degrees for about 25-30 minutes or until cooked through. If you are cooking from frozen, you will want to add 10-20 minutes to your cooking time. This is such a great idea! I’m pregnant with our first baby and last night I watched our friend’s 2 year old and ended up making pizza quesadillas for dinner, just to get something on the table quickly, it made me realize our diet’s may really change when our own baby comes along! I’m stocking this away, with the goal to make healthy meals in advance that can turn into easy weeknight dinners!